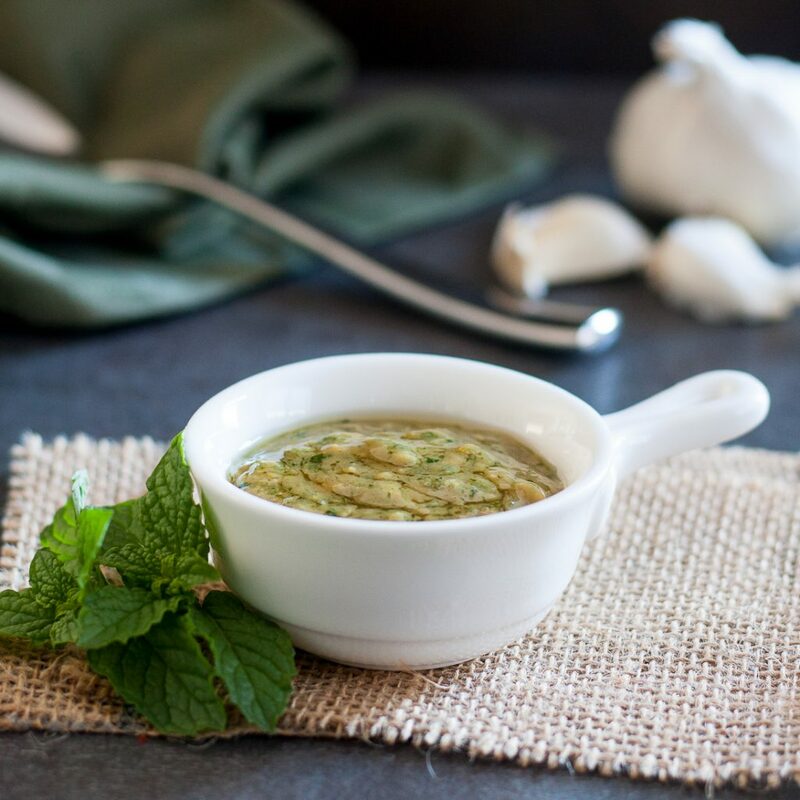 More than just an accompaniment for lamb, this mustard mint sauce recipe is one of our favorite unique mint sauces. 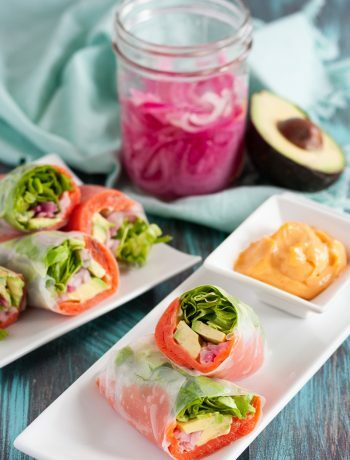 We use it on sandwiches, an assortment of meats, and even as a salad dressing! The thought of using mint as part of the base for a sauce is really new to me. Until a couple of years ago, mint was something I would add to a mojito, or use as a garnish for a dessert such as ice cream. As we’ve traveled and settled in temporary homes around the country, we’ve tried a few dishes that completely changed my perspective on mint. If mint sauce is offered at a restaurant, I will very likely ask for it. Mint also has a noticeable presence in our home…the Godmother grows mint in our patio garden, along with peppers, oregano, and other spices. The good thing about mint is that it is a rather resilient plant…it grows for most of the year and there are enough leaves to cut from the plant to make all sorts of things, including mustard mint sauce. I noticed some similarities in the way mint is used in making the base for a sauce. 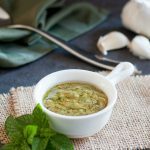 Mint isn’t the sole player in the sauce if it’s to be used in an appetizer or an entree…it tends to coexist with something that has kick, whether it is in the form of heat or a rather sour taste. When mint is combined with a lead-in ingredient, you first taste the heat or sour flavor, but then the mint kicks in to cool things down and it just has you coming back for more. Keeping this in mind, when I experimented making my own mint sauce, I decided to combine the mint with mustard. What came out of that is a rather simple recipe for mint sauce…one that that only takes minutes to prepare, and it even used shisito peppers from the Godmother’s patio garden. If you don’t have shisito peppers, any mild sweet pepper should do. 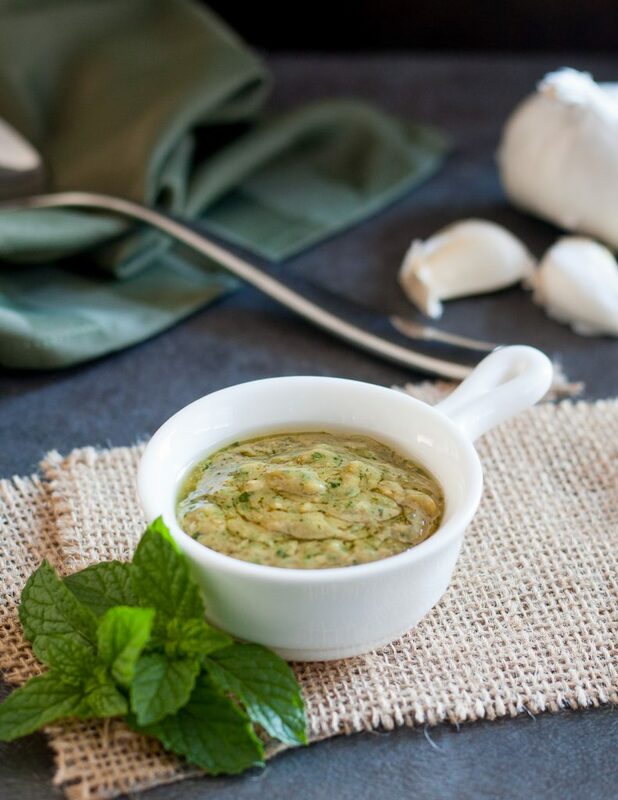 We use this sauce in just about everything when we have some on hand: chicken breast, as salad dressing, and even as a topping on homemade burgers. Enjoy! 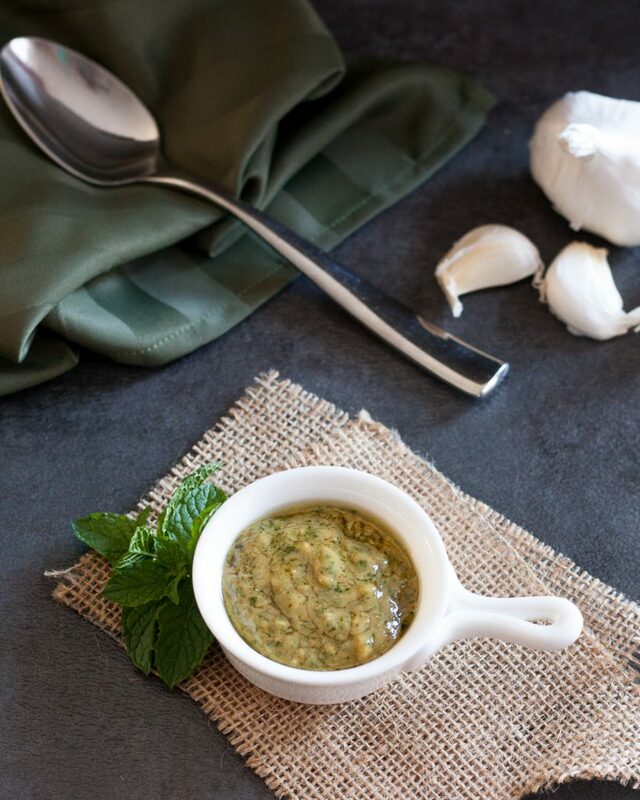 This easy mustard mint sauce is such a versatile condiment! 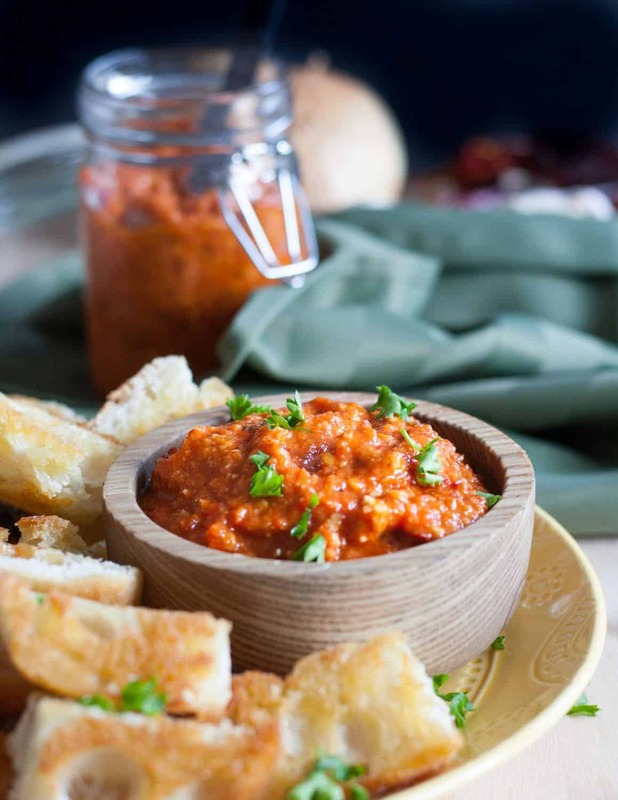 Perfect for sandwiches, salads, or as an accompaniment to a variety of meats. In a food processor, add mint, garlic and peppers. Run the food processor until the mixture becomes uniform. Add Dijon mustard and molasses into the food processor. Resume running the food processor until the mixture becomes uniform again. While running the food processor, slowly add the avocado oil. Run the food processor until the mixture becomes emulsified.